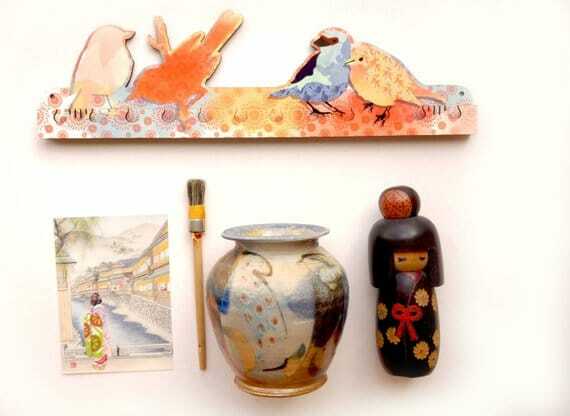 Peach, Blue, Japanese Textured Birds Key Rack or Necklace Hanger. 2 Birds key hooks for keys and jewelry. 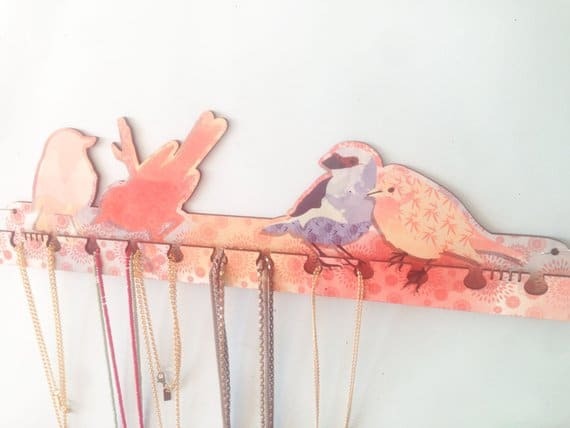 Beautiful cute wall hangers for a happy room. Made from MDF (wood) in laser cut and sublimation print with my original illustration and color combination. Great for any room or corridors! Adds a warm and joyful touch to any area. 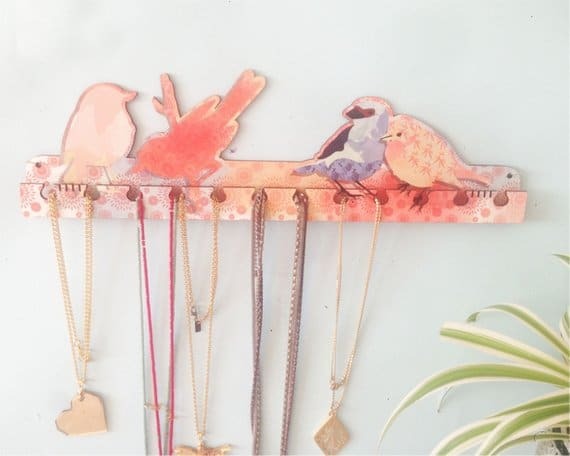 Fits perfectly for hanging jewels, necklaces etc. It can be easily mounted to the wall with 2 nails or screw . Size: 38 cm. It can be easily mounted to the wall with 2 nails or screw . Size: 38 cm.